Deposit £100, balance required 4 weeks before your arrival date together with a refundable breakage bond of £100, returnable 7 days of leaving, condition leaving the caravan clean, tidy and no damages. If booking is made less than 4 weeks before arrival, full payment is required. Short breaks available 3, 4, 5 nights. Please feel free to enquire. Privately owned caravan situated on Snowdon close to the main entertainment centre and a small walk to the beach with a lovely play area for children, own parking bay. 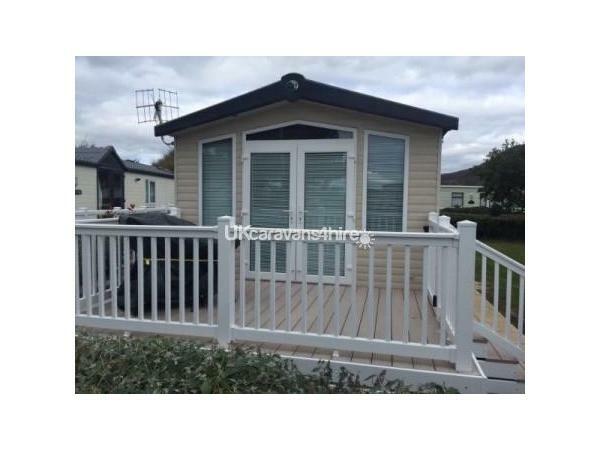 This prestige rated caravan offers 3 bedrooms - 2 double bedrooms, 1 bedroom with 2 single beds and a double bed settee, en-suite toilet with 1 main bathroom with shower. 42" TV with 30” in main bedroom, central heating, double glazing. Clean and immaculate for your comfort. Patio doors opening up onto front decking area with table and chairs. South facing to receive sun all day. Ample choice of children’s DVDs and games. Quilts and pillows provided. Site passes can be purchased from the reception area, they are not provided. Additional Info: Beautiful surroundings, dinning, takeaway, swimming pool, live entertainment, stunning beach. Thank you Tracey your caravan was lovely. My family have just returned from a weeks stay and everything was perfect, including the weather. The location was ideal to the main amenities and the beach was only a short stroll away. Tracey made everything so easy from start to finish, nothing was to much trouble and she was always quick to respond. Will definitely return . We’ve just returned from another fantastic stay in this caravan. 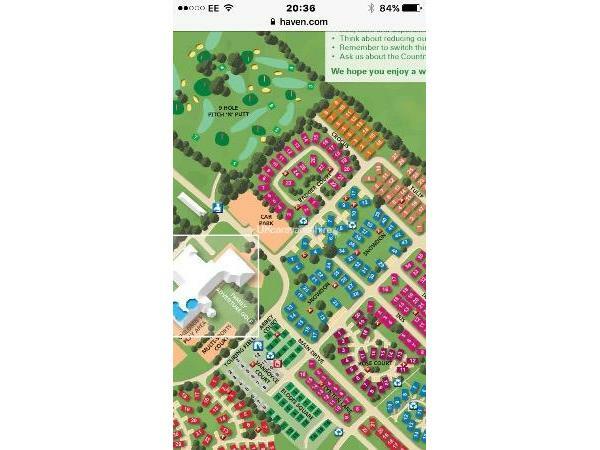 We can not fault the accommodation and the caravan is in a great location on the Haven site. It’s always a pleasure to contact Tracey and discuss bookings. We’ll definitely rebook. We've just returned from a lovely week's stay in this caravan, we would definitely return. The caravan site is great for being right by the beach and close to the mountains, particularly Snowdonia, and a friendly park. The caravan was well equipped and clean. The owner was easily contactable via email and very prompt in replying to enquiries and helpful. We had a brilliant week. The caravan is in an ideal spot with the area in front for our Grandaughter to play on, within site of the caravan. Everything we needed was provided. The site facilities are great and we made good use of the pool, the restaurant and the Live Lounge. We will definitely go back. EXCELLENT, clean modern caravan and we'll equipped, beautiful site and nice beach definitely would stay here again. We have just returned from a 10 day stay. We love the Greenacres site, and go every year. This year, we decided to hire a caravan directly from an owner, rather than through Haven. It was the best decision we made. The caravan was located in a great part of the site, close to the complex, but far enough away not to get lots of people passing, so it felt quite private. The caravan was beautiful inside, very homely and clean. It is just a short walk from the beach and nature reserve. We had a fantastic time and will definitely be looking into hiring it again next year! We loved every minute of our holiday! We found it very easy to contact Tracey and she was very quick to respond to emails and text messages. Thank you Tracey for letting us use your caravan! ? Just got back from a lovely little break away. Really nice caravan immaculate inside and out. Veranda was a little sun trap. Just beautiful. Caravan was really well equipped, cant fault it at all. It's situated in a fantastic little spot nice and quiet and perfect for small children. We had a great time. So close to the beach and the complex. Thank you Tracey you were great to deal with. Hopefully we will be back soon. I would highly recommend. Many Thanks. Excellent value for money. Lovely spot on the site close to ameneties looking out onto a small green area. Owner very easy to contact/deal with. 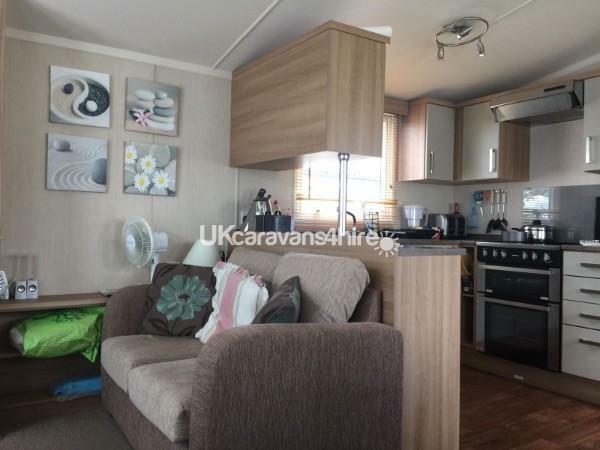 Very clean caravan with nice decked area to sit outside. Good caravan facilities - including a well equipped kitchen (some larger glasses would be lovely please).Location so close to Black Rock sands means ideal for a short break in a very short walking distance to a beautiful beach. Would stay again.